Sunday began with a fun filled morning of ziplining at “Monteverde Extremo Canopy.” The ziplines were amazing!! Some were as high as 142m and as long as 1km. There were 3 unique aspects of this zip line tour than others that I’ve been on. 2. Tarzan Swing. You Basically drop for probably 5 m and then swing like… well Tarzan. 3. The Superman. Attached to the line by a harness and a rope around your feet, you shoot down this long 1km line 142m above the forest. The most crazy, scary, exhilarating thing ever. It’s like you’re flying but at the same time you have this crazy fear that the rope will snap and you will plummet to the forest below. Wanna see what I’m talking about? Afterwards we came back and grabbed some crepes from “I’m Hungry #2” (pretty sure that’s its legit name, at least thats what the sign said). For $6 US you can get a very yummy crepe with fruit, nutella, caramel drizzle and ice cream! 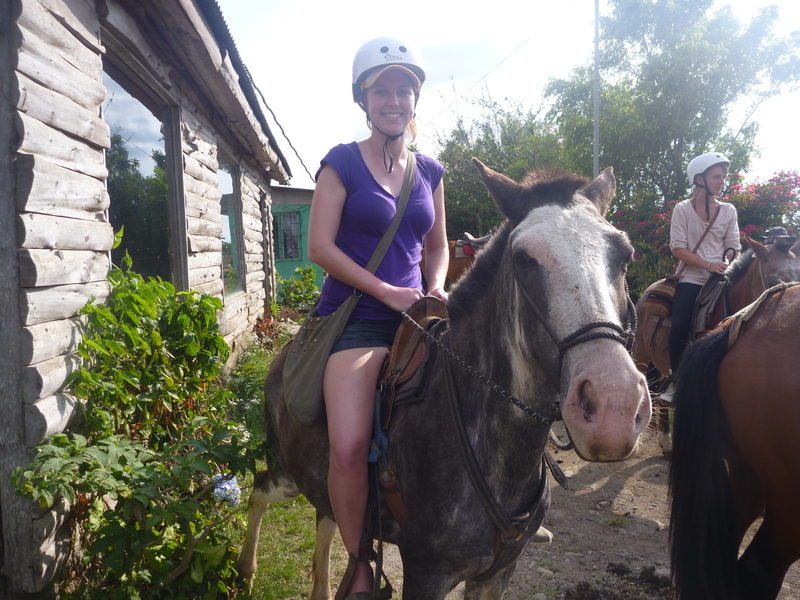 In the afternoon we headed to a local farm to do a horseback riding adventure! 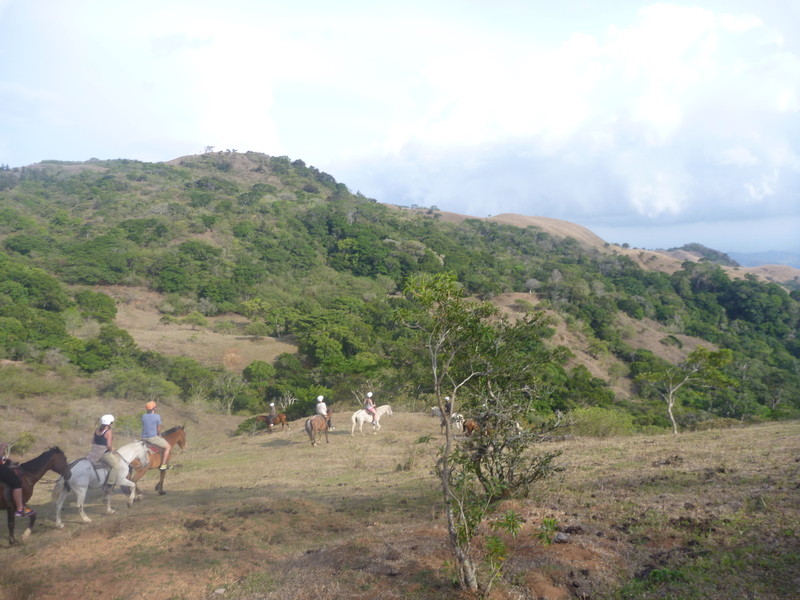 The two guides (its family owned and run), greeted us to their farm where I was introduced to my partner for the ride, a little grey horse named Mariachi. For 2 hours the guide took us on a great trek to the top of a mountain, which had the most amazing views of the surrounding mountains and town, and then through some of the surrounding forest. Horseback riding was alot of fun except for the parts where my horse galloped, you bounce up and down, and almost feel like you’re going to fall off. When we returned to the farm we were greeted with fresh lemonade and hot, just out of the oven pastries. Shortly thereafter the family showed us the rest of their farm. They have coffee plants which they use to make their own coffee, they actually roast it themselves too! We were able to try some as well as some of their own homemade, extremely strong rum. Lastly we grinded some sugar cane that they grow on their farm and through some teamwork, we were able to use a contraption to grind the stalks and squeeze out the juice, It basically tasted like sweet grass. One of the best parts about the whole afternoon was that we got to do all this for only $30 US. For the evening we grabbed a couple roadies for the drive (because you can do that here) and headed over to a local place in the middle of nowhere called “Ecoverde Lodge.” One of our guides has been to Costa Rica many times and over the years has made quite a few friends with the locals. 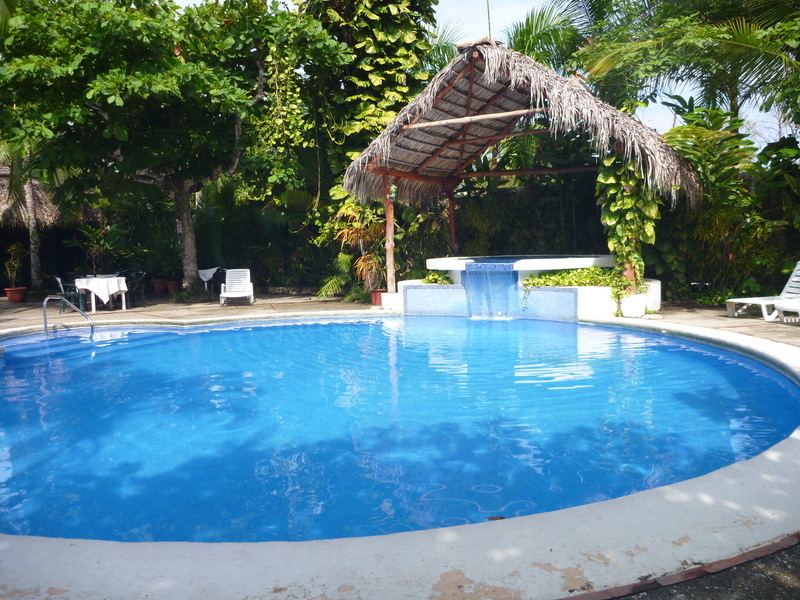 The place we went to was his friends family owned hotel which was great because we had full range of the sound system and main room so we were belting out karaoke tunes all night while enjoying some yummy tacos! 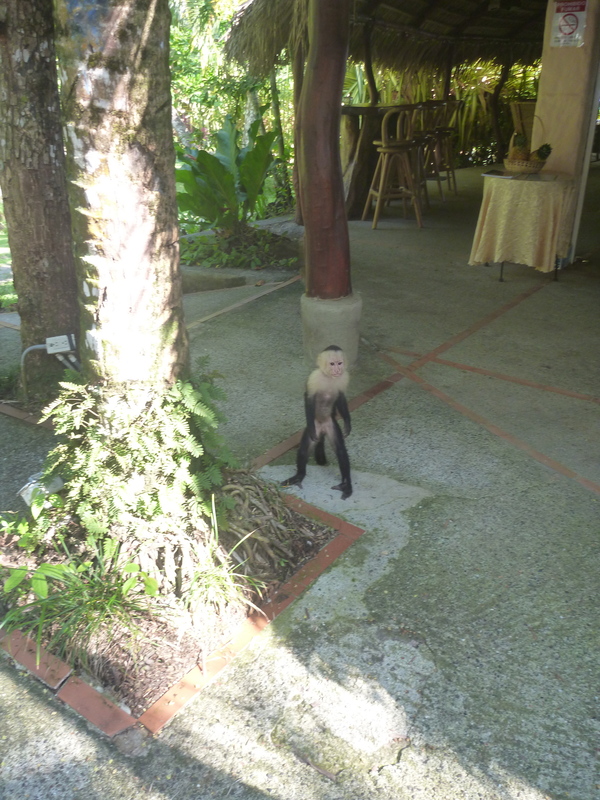 On Monday we left Monteverde in the morning and headed for Manuel Antonio. 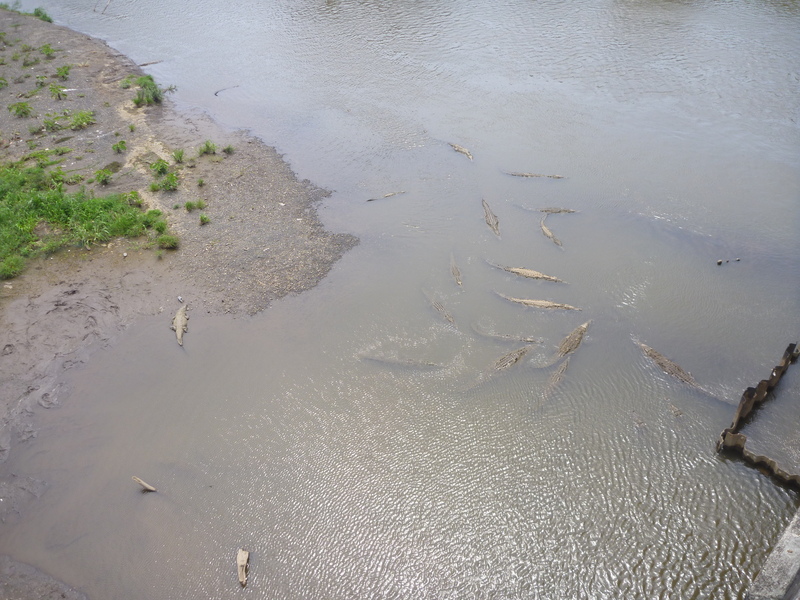 On the way we stopped at a bridge that we had to cross since below it is the most concentrated area of Crocodiles in Central America. It was pretty freaky standing above 25 live and very large gators! 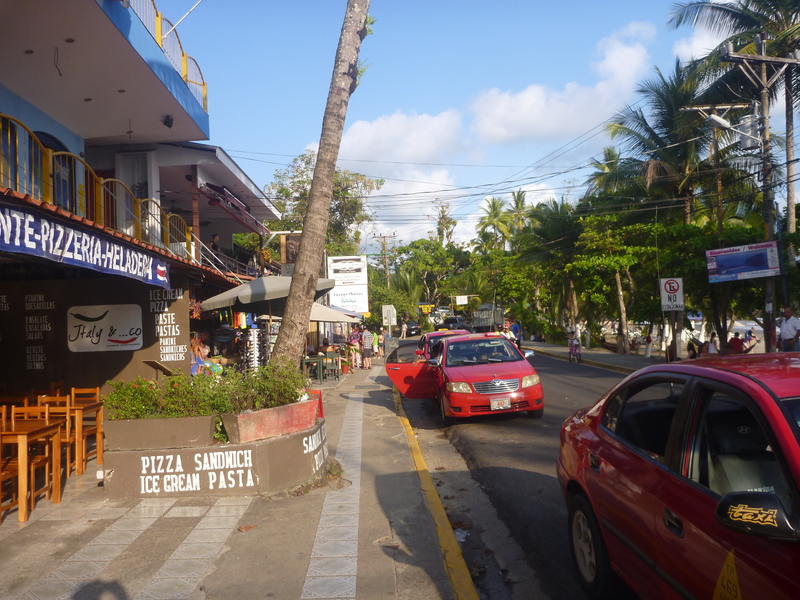 That afternoon we arrived at our hotel “Karahe” which is right across the road from the beach. You have to cross the road to get to the pool but its pretty nice with air conditioning, a fridge and wifi! In the afternoon we hungout by the pool and walked down the beach to the little town here. This part of Costa Rica is soooo pretty!! 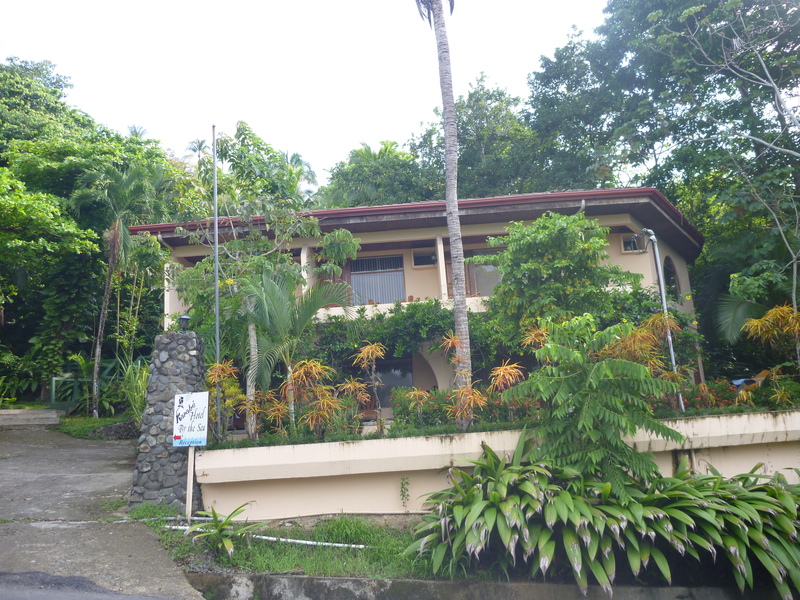 Covered in lush vegetation and surrounding rolling hills. For dinner we went to “Raphaels Terrazas” the great thing about restaurants near the hotel is that they are all uphill and have these amazing views of the beach from a cliff. Tuesday we woke up bright and early to head out for our white water rafting excursion. Our hotel provided us with a yummy buffet breakfast and afterwards we headed to this really long river with our guides from “H2O Adventures.” On the drive there we passed alot of palm tree plantations which apparently alot of big companies such as Johnson and Johnson own so that they can use the palm oil in their products. Our guide was telling us that in the long grass below the trees is where alot of deadly snakes live. Apparently in Costa Rica there are over 5 different kinds of poisonous snakes. 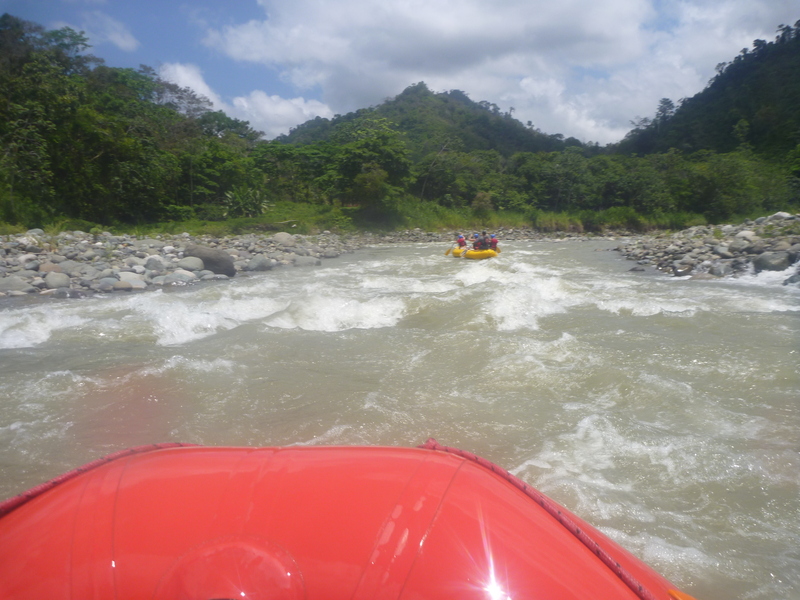 We started our jaunt down the river crossing some fairly big rapids here and there.Our guides were great! They would get us to high five our paddles once we crossed a big rapid and a few times there was alot of space between rapids so we were able to get out of the boats for a bit and just float on down to the next set of rapids. Over the trip we saw vanilla trees as well as Scarlet Macaws (true love birds, these birds mate for life and when one of them dies the other one dies shortly after aww). For lunch our rafting guides took us to a place way off the beaten path where we had barbequed pork, sooo good! 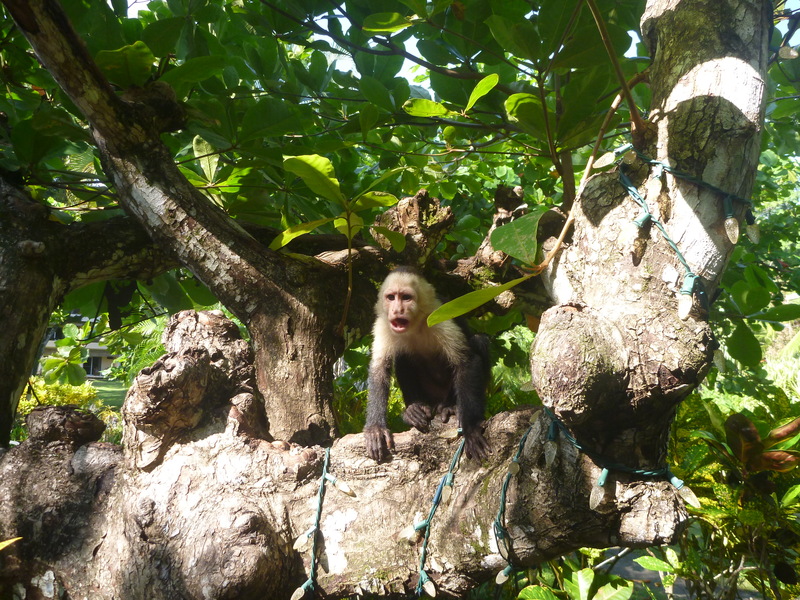 In the afternoon we had free time so I headed on down to the pool where there were a bunch of monkeys running around and hanging out in the trees. 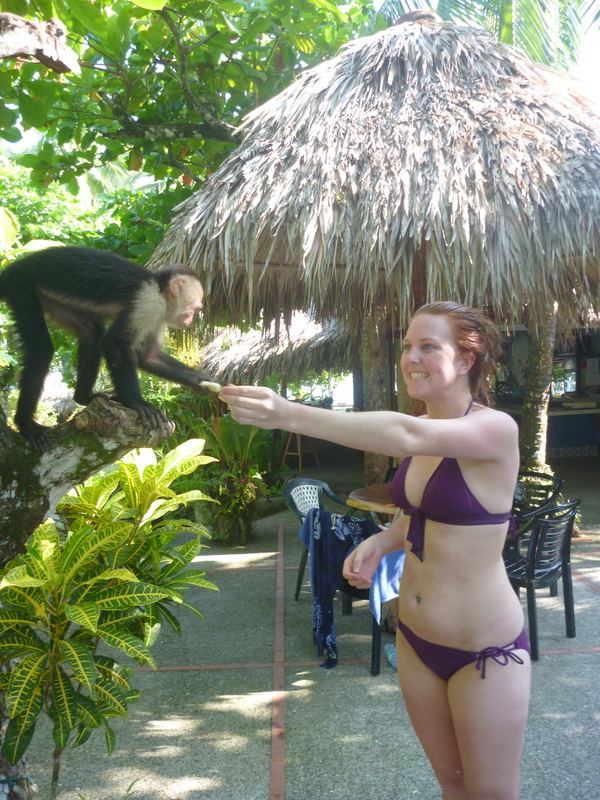 The people working in the restaurant beside the pool gave us bananas and we were actually able to feed them! 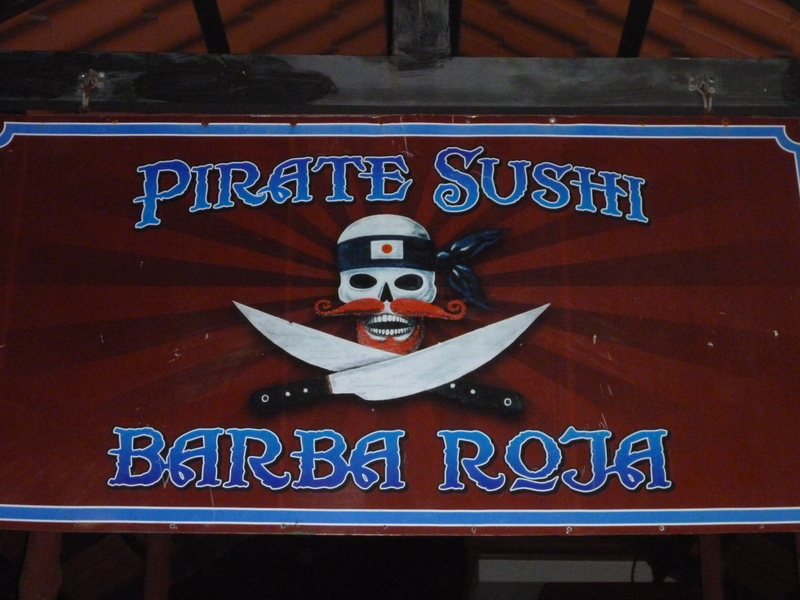 After watching the sunset on the beach we headed to “Barba Roja” where they had happy hour (2 for 1 drinks!) and an amazing view of the ocean. 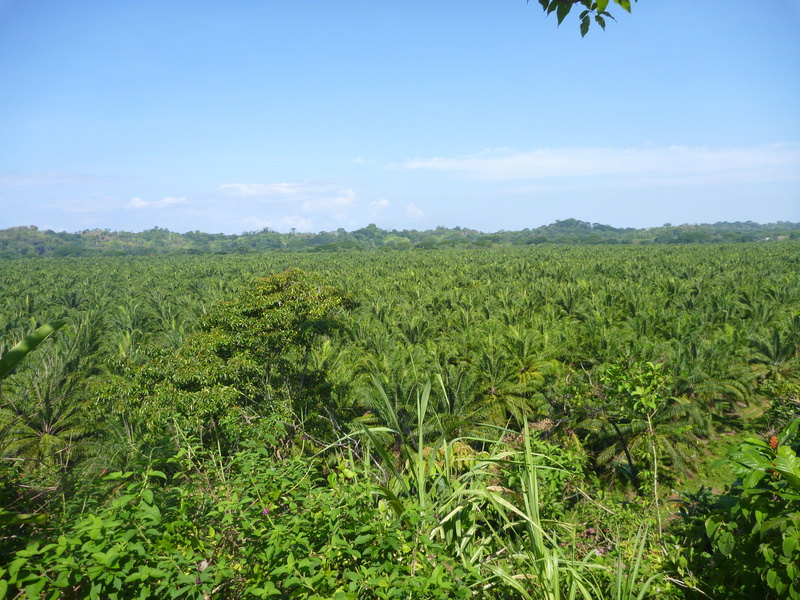 Today we are heading to the national park here and tomorrow we will take a boat to Montezuma!